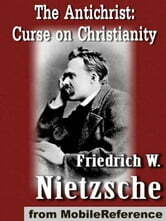 The Anti-Christ (German: Der Antichrist) (also could be translated as The Anti-Christian) is a book by the philosopher Friedrich Nietzsche, originally published in 1895. Although it was written in 1888, its controversial content made Franz Overbeck and Heinrich Köselitz delay its publication, along with Ecce Homo. 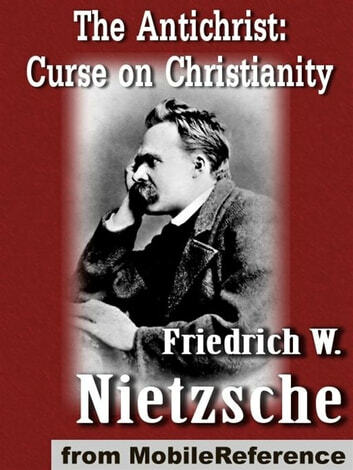 The German title can be translated into English as both "The Anti-Christ" and "The Anti-Christian." The English word "Christian" is called a weak noun in German and, in the singular nominative case, it is translated as "der Christ." Given the content of the book, the title is likely to imply both connotations (the same way as the word "Antichristianity" would in English). Excerpted from Wikipedia, the free encyclopedia.